"There are contract extensions and contract extensions. This is the latter." Earlier this offseason, Walt Jocketty stepped up and got a long-term extension done with Homer Bailey. Prior to that point, media reports stated that the Reds and Homer were "far apart" in negotiations. Like most Reds fans, conditioned by years of ownership frugality, I had fully expected Homer to walk after the year, but when I saw the arbitration hearing deadline looming on February 20th, it suddenly hit me that this is exactly how Jocketty operates. He waits until there is some type of pressure, some level of urgency for both sides to get a deal done and then he strikes. More than most GMs, Jocketty seems to operate in shadow. It can make for interesting times for the fan base. It may be his preferred working style. It may allow him to get things done free from scrutiny. But, it can also be a weakness. He doesn't control the message that fans receive. He passes on the chance to control public opinion. That's fine when you're winning, but if things turn south then you run the risk of losing the fan base. But, this isn't a post about Jocketty's operating style. It's about why the Homer extension and others like it make a tremendous amount of sense for the Reds right now. There are two types of investment gambles: (1) finding an individual asset in which to invest that you feel is valued inaccurately by the market, or (2) finding flaws in the market itself and betting against the entire system. An example of the first would be finding a single family dwelling that is priced $50,000 below where it should be. A residence that, because of a solid foundation, an unappreciated chandelier, and a great location is worth more than others realize. So, you buy that asset for less than it's worth and reap the value. An example of the second would be recognizing that the entire subprime mortgage industry is completely corrupt, setting the entire housing market up for imminent collapse, and betting against the entire system. The first type of gamble can earn you a tidy profit, the second type of gamble can make you stinking rich...if you invest heavily enough in it. Homer's contract extension (even if the Reds don't recognize it) actually works well under both investment scenarios. 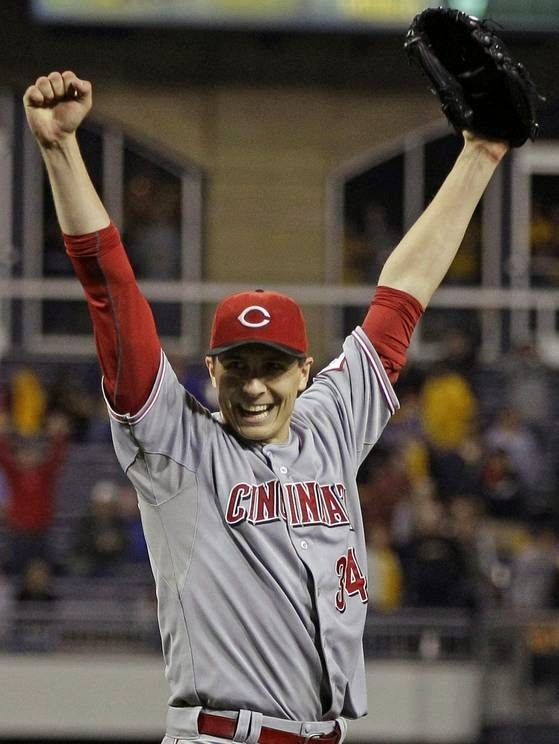 I support the extension given to Homer Bailey. I support it because of reasons specific to Homer, including his performance line trending upward and his impressive durability. Homer seems like a good individual investment. However, in addition to these Homer-specific reasons, it's an even better idea for systemic reasons. Revenue is exploding in Major League Baseball and has been for a number of years. However, unlike salary cap leagues that base their salary structure expressly on a percentage of league-wide revenue, MLB relies on market forces to determine the percentage of revenue that will trickle down to the players. One of the big knocks on salary caps is that they are a "wealth transfer" mechanism, shifting money from players to owners. Instead of letting market forces dictate how much of the revenue naturally goes to the players, the percentage that goes to the players is artificially established through collective bargaining. Not surprisingly, market forces typically allocate more revenue to the players than the percentages that are collectively bargained by the owners. However, when the salary structure is determined by a percentage of revenue, it is calculated on an annual basis. As a result, salary cap systems more quickly allocate revenue gains to player salaries than market forces, even if those slower market forces eventually allocate a significantly greater share of the new revenue to player salaries. Currently, the revenue in Major League Baseball is increasing at such a massive rate that the percentage trickling down to player salaries is lagging behind. It just can't trickle down fast enough to keep pace with the new revenue, resulting in the percentage of league-wide revenue that is allocated to the players falling far below where it used to be. As of now, the MLB percentage has even fallen below the percentage of revenue that salary cap sports (NHL players receive 50% of Hockey Related Revenue; NBA players receive 49-51% of Basketball Related Revenue) mandate be allocated to player salaries. What this creates is an opportunity for teams bold enough to grab it. As it stands, players are being paid based on an outdated reality. Player salaries haven't caught up to the revenue boom, so players are being paid less than they should be. In short, the owners are living in the luxurious "new revenue" world, but are still paying costs under the "old revenue" reality. Baseball contracts are largely pulled upward by the contracts of superstar players. As their contracts are extended or they receive a free agent contract, those contracts set the market for everyone below. The new market creates upward pressure on the salaries of all players below. Unfortunately, those deals don't come up all that often, so it may take awhile for those deals to reset salary expectations. That is clearly starting to happen with the recent deals for Clayton Kershaw and Miguel Cabrera, but it seems clear that there are still bargains to be had because the percentage of total revenue that goes to MLB salaries is lower than standard business practices would dictate. Again, what's important is the trend line, not the specific percentages. Under each salary calculation, the percentage of revenue that goes to player salaries has fallen ~10% since the 2000 season. Forbes just reported, citing to The Associated Press, that Major League Baseball spent $3,767,445,277 on total player salaries in 2013, representing 47% of total league wide revenues. So, Forbes is obviously calculating salaries differently (and, probably more accurately), but, despite the different methodology, 47% is still significantly lower than in previous years. As it stands, the percentage may not catch up until revenue growth slows, but it seems very likely that owners will eventually, and naturally, spend what they used to spend on players. So, if the market for players isn't reflecting the "true" percentage of revenue that typically goes to players, then there are bargains to be had system-wide. If owners are spending a lower percentage of their total revenue on labor costs, then they can afford, and will ultimate be forced, to spend more. They have shown in the past that they can effectively operate their business while paying more for labor costs. If the market for labor is lagging behind the revenue, then longer term contracts that take advantage of this disparity make sense. If you can lock in talent at the current "lower percentage of revenue labor market rate", then you can lock in a below market rate for years to come. Act before the market correction and you are ensuring significant cost savings, which would seem to mitigate much of the risk of a signing someone like Homer Bailey in the first place. If the Reds were smart, then they'd lock up desirable assets to long-term deals now, BEFORE the market correction arrives. 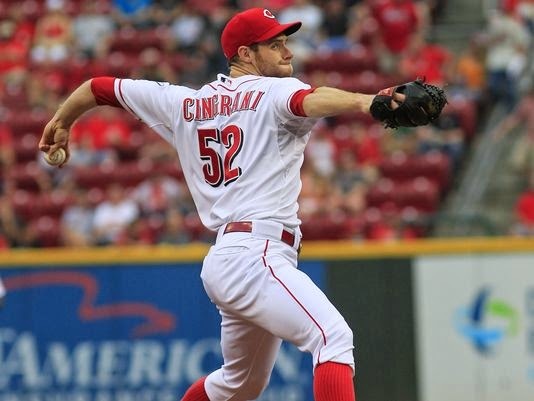 One asset I'd look to lock up right now is Tony Cingrani. Personally, I don't share the common fear that hitters will suddenly adjust to the fastball. It's obviously a plus-pitch with good velocity and late hop. And, to the extent that they do adjust, it seems very likely that Tony's improved secondary offerings, which should only get better, will counteract that. And, I'm a big fan of Tony's pitching mechanics, which should reduce his risk of arm injury. So, I buy the performance level, believe he has a lower injury risk, and give him a boost in value for being a southpaw. He's a good investment from an individual point of view. Revenues continue to grow, making it irrelevant whether the % of revenue increases back to more normal levels. Basically, this type of extension would pay off if (1) the future slice of the pie that goes to players increases or (2) the whole pie continues to grow. Either way, any contract signed under today's market reality is a potential bargain because both scenarios reflect continuing market escalation. And, quite frankly, I'm not sure I see any scenario OTHER THAN continuing market escalation playing out over the next 5 to 7 years. The Rays signed Matt Moore to this extension after he had thrown something like 10 MLB innings. Now, the key to this deal making sense is the existence of team options. Contracts are substantially about risk allocation, the team option years shift that allocation more favorably in the direction of the team. The Rays were undoubtedly comfortable handing this type of deal out because (1) Moore had a longer minor league track record of success and (2) was more highly regarded than Cingrani. The Moore extension was signed prior to the 2012 season, but it was also given to a pitcher with (arguably) less risk and more certainty. So, maybe a similar deal (maybe a couple million needs to be tacked on to each year's salary) could be struck now, as Cingrani's higher level of risk would help offset inflation and the revenue explosion. And, seriously, how much risk is there in that Matt Moore deal? He's set to earn $9M and $10M in 2018 and 2019? Is there ANY scenario, other than injury, in which a lefthanded pitcher with a mid-90s fastball ISN'T worth that? Given what Clayton Kershaw just signed for and, hell, what Jason Vargas just signed for, I see very few ways in which this type of deal DOESN'T pan out. If Jason Vargas is worth $8.5M NOW, then what are the odds that Cingrani ISN'T worth ~$12M in 2019? Personally, I think an extension for Tony Cingrani is something that should be seriously considered. Given the explosion of revenue and the lag in it trickling down to player salaries, it seems like there are more ways for this type of deal to pay off than not. Realistically, how much risk is there in a ~$12M salary in 2018 and 2019? If I could extend Tony through his first 6 years AND get a team option year or two, then I'd jump at the chance to do it. Now is the time to spend. Take advantage of the league-wide financial conditions and the fact that Tony's reputation has yet to catch up to his performance level. Waiting, even a year, could change both of those realities. Kershaw type contracts and a top flight year by Tony would make this opportunity far less likely to happen. The Reds were smart enough to lock up Homer Bailey under the current, below-market salary structure, but in order to get really wealthy they need to double down in their bet against the system. There is a low risk, high reward opportunity right now to exploit a systemic inefficiency. Right now, it's as much about being right about this systemic inefficiency as it is being right about the player who will receive an extension. In fact, the former will mitigate the risk of being wrong about the latter. Sign Tony BEFORE the market correction arrives!! !